Watch Mickey, Goofy and their pals deck the halls with laughter and joy in this magical Christmas collection. the fun never stops as Chip and Dale go head-to-head with Donald duck in the hilarious Christmas short, "Toy Tinkers." Then watch as "Santa Cruella: and the gang bring you a new twist on a beloved christmas classic. Enjoy these Christmas favourites, as well as "Mickey's Mixed Nuts" and Donald's "Snow Place To Hide," in this wond.. It's "All for Fun and Fun for All" as Mickey, Donald and Goofy plus their friends Minnie, Daisy and Pluto star in their first feature-length movie together. Best buddies Mickey, Donald and Goofy are small-time janitors with big dreams of becoming Musketeers. Their lives are turned upside down when Peg-leg Pete, captain of the Musketeers, and his sinister lieutenant Clarabelle use them in a dastardly plot to rid the kingdom of Princess M..
Mickey's Once Upon A Christmas: Disney's biggest stars shine in a magical all-new movie - sure to become a holiday classic! Mickey, Minnie, and their famous friends Goofy, Donald, Daisy and Pluto gather together to reminisce about the love, magic and surprises in three wonder-filled stories of Christmas past. In the fine tradition of Disney's superb storytelling, Minnie and Mickey recall the year they both gace up what what was most imp.. Celebrate Christmas with Mickey Mouse and all your favourite Disney pals! These three full-length classics - together for the first time ever in this Ultimate 3-Disc Collector's Set - will fill your home and your heart with music and merriment!Mickeys Magical Christmas: Break out the cookies and hot chocolate as Mickey and his guests at the House Of Mouse share their favourite Christmas memories in Mickey's Magical Christmas Snowed In..
Mickey's Once Upon A Christmas: Disney's biggest stars shine in a magical, all-new movie - sure to become a holiday classic! Mickey, Minnie, and their famous friends Goofy, Donald, Daisy and Pluto gather to reminisce about love, magic, and surprises in three wonder-filled stories of Christmas past. In the fine tradition of Disney's superb storytelling, Minnie and Mickey recall the year they both gave up what was most important to them f..
Disney's biggest stars shine in a magical, all-new movie - sure to become a holiday classic! Mickey, Minnie, and their famous friends Goofy, Donald, Daisy and Pluto gather to reminisce about love, magic, and surprises in three wonder-filled stories of Christmas past. In the fine tradition of Disney's superb storytelling, Minnie and Mickey recall the year they both gave up what was most important to them for the sake of the other, making..
Find out who's been naughty and who's been nice in an all-new Christmas celebration. Santa Claus, Mickey Mouse and all his Disney pals star in an original movie about the importance of opening your heart to the true spirit of Christmas. Watch the hilarious antics of stubborn old Donald as he tries in vain to resist the joy of the season, and laugh along with Mickey and Pluto as they learn a great lesson about the power of friendship. Th..
Own Mickey Mouse - Vintage Mug from Deff, DVD, Blu-Ray & 4K Video Specialists - Free UK Delivery..
Own Mickey Mouse Clubhose - Minnies Winter Bow Show DVD from Deff, DVD, Blu-Ray & 4K Video Specialists - Free UK Delivery..
Join Mickey, Toodles and the gang for this magical full-length adventure you'll enjoy year-round! Ride the amazing Clubhouse Train to the top of the mountain, and help load the train cars full of incredible, never-melting, "Easy-Freezy" snow! Share in the excitement when you arrive back at the Clubhouse to ski and make snow angels...in summer! Hop back on board and race to each station to pick up guests in time for the coolest snow part..
Join Minnie, Daisy and all your Clubhouse pals for a mousekemagical celebration! Today is Minnie's birthday. Can Mickey and the gang get everything ready and keep the party a secret until it's time to shout "Surprise!"? Only if you help them pick the right Mouseketools. Soar above the clouds with Daisy and Minnie as they use rainmaking "Pitter-Patter-Glitter" to make their flowers bloom. And share the fun when Goofy babysits Minnie, Dai..
`Old MacDonald' Has Some New Friends! Get set to roll up your sleeves, ride the Clickety-Clack Tractor and lend a helping hand in this farm-tastic barnyard adventure! With an oink-oink here and a moo-moo there, it's time to sing along, plant the crops and feed the animals on the new Clubhouse Farm. But when Farmer Pete's giant windmill blows all the cows, chickens and piggies out of their pens, its's up to You - with the right Mouseketo..
Own Mickey Mouse Clubhouse - Mickey & Donalds Big Balloon Race DVD from Deff, DVD, Blu-Ray & 4K Video Specialists - Free UK Delivery.. This Christmas, pack the sleigh, hitch up the reindeer and celebrate the season with Mickey and all his friends in a fun-filled adventure. When Santa's sleigh breaks down at the top of Mistletoe Mountain, Mickey and Donald race to his rescue The gang plays a game of hide-and-seek with the world's greatest hider - Donald Duck! And Goofy needs help returning a lost baby bird to its mother in the forest Be a part of three hilarious stories..
Get ready to join Mickey and friends on their most amazing adventure ever - a new movie classic inspired by Disney's Alice in Wonderland. Don't be late for a very important date: Daisy's surprise birthday party! Her present is a magical cuckoo clock, and when the cuckoo bird flies away, Mickey and Donald set off through a fairytale wonderland to find him. Will they choose the right mouseketools to locate Cuckoo and get home in time? Fin..
Ready for waves of laughter and adventure? Then put on your floaties, grab your boogie boards and jump in! It's the hottest day of the year - even Goofy's chicken noodle ice cream cone has melted into soup! So Mickey and his pals are cooling off at Star Lake. Pete's hosting a Hawaiian luau, and it just might be the best beach bash ever, but only if You can help the gang pick the right mousketools to get the party started. You'll ride a ..
Brighten your day with Mickey's Colour Adventure, a dazzling blend of fun, friendship and creativity! Today, something unusual is happening: All the colour is disappearing from the Clubhouse! Won't you help get it back? Grab your mouseketools and join the Gang as they collect objects in red, orange, yellow, green, blue and purple to power up Professor Von Drake's Rainbow Colour Machine. Then, paint, sculpt and draw with Goofy, and journ..
Meeska Mooska Mickey Mouse! The search for big fun is just beginning in the ultimate adventure to save the clubhouse. Mickey and his pals are planning the best springtime party ever - and you're invited! But the festivities are put on hold when Mickey's magical clubhouse mysteriously breaks into pieces and disappears with Minnie, Donald, Goofy and Daisy inside! Mickey needs your help as he sets out on a great adventure to save his frien..
Come Outside And Play! Join Mickey, Donald and the gang for laughter, surprises and blue skies! Everyone's excited because today is the big Clubhouse Camp Out. Help your pals pick the right Mouseketools so they can pitch their tents, catch gooey fish on Circle Lake and earn their camping badges. Then, set out with Mickey and Minnie on a jungle safari as they seek out a rare flower. There's always a world of fun under the sun in Mickey's..
Join the search party and get set for the ultimate game of hide 'n' seek, as Mickey and his pals hunt for hidden treasure! "X" marks the spot when Pluto finds a mysterious map. Now it's up to you and the whole Clubhouse gang to follow the clues and pick the right mouseketools to locate a secret chest full of stickers, goodie bags, toy jewels and more! You'll discover that when good friends work together, problem solving is no problem at.. Put on your costume, grab your goody bag and join mickey and his pals for spooktacular Halloween fun. Mouskeready, mouskeset........here we go! Everyone's invited to Big Pete's Halloween party. But the gang needs to reach Trick-Or-Treat Tower before the moon is full, or the gates will lock and the party will be over before it even starts. Can they get through the foggy woods, past the Candy Corn Patch and over the drawbridge in time? Wi..
Own Mickey Mouse Clubhouse - Minnie Rella / Quest For Crystal Mickey / Minnies Pet Salon DVD from Deff, DVD, Blu-Ray & 4K Video Specialists - Free UK Delivery..
Mouseke-magic meets storybook enchantment in a charming Clubhouse adventure inspired by your favourite fairy tale! To surpise Minnnie with a speacial present, Mickey and the gang keep her busy with loads of chores until they pick out the perfect gift. Tired from so much work, Minnie falls alseep... and her dreamy fantasy begins. With a "Mouseke-doodle-lee-do," Fairy Godmother Clarabelle waves her wand and sets the magic in motion. Will ..
Own Mickey Mouse Clubhouse - Minnies Bow-Tique DVD from Deff, DVD, Blu-Ray & 4K Video Specialists - Free UK Delivery.. Whether you have a playful puppy, a funny frog or a bouncing bunny, Minnie's sparkling new Pet Salon is open for business...and adventure! All your Clubhouse pals are bringing their animal friends to get spruced up for Pluto's All-Star Pet Show. With so many pets to bathe, groom and train, Minnie needs help. Luckily, Mickey and the gang are there to lend a hand. But when three adorable little kittens go missing, it will take the right M.. Journey to a wondrous land of enchantment and surprises! 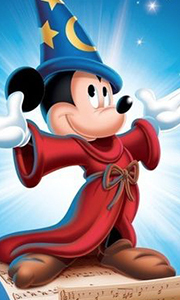 The classic tale gets a brand-new twist in Minnie's new full-length adventure: The Wizard of Dizz. Before you can say "pink tornado", Minnie and Pluto end up in the silly but spectacular land of Dizz. It's an amazing place, with rainbow trees, butterfly bows and friendly "Chipmunchkins", but what Minnie wants most is to get back home. Together, Minnie and her new friends Scarecrow..
Own Mickey Mouse Clubhouse - Pop Star Minnie DVD from Deff, DVD, Blu-Ray & 4K Video Specialists - Free UK Delivery..
Own Mickey Mouse Clubhouse - Storybook Surprises DVD from Deff, DVD, Blu-Ray & 4K Video Specialists - Free UK Delivery..
Zoom! Wow! It's Super Mickey, Wonder Minnie, Super-Power Pup, Super Goof, Dynamo Duck and Upsy-Daisy to the rescue! In an exciting adventure straight out of a comic book, Power-Pants Pete swoops down and starts shrinking everything insight down to teeny-tiny size! To save the day, Professor Von Drake transforms the Clubhouse Gang into super heroes with incredible powers. But Pete's merely a sidekick; a wily villain named Megamort is the..
Own Mickey Mouse Clubhouse - Super Silly Adventure DVD from Deff, DVD, Blu-Ray & 4K Video Specialists - Free UK Delivery..
Own Mickey Mouse - Faces Mug from Deff, DVD, Blu-Ray & 4K Video Specialists - Free UK Delivery..
Own Mickey Mouse - Frame Mug from Deff, DVD, Blu-Ray & 4K Video Specialists - Free UK Delivery..
Own Mickey Mouse - Sketch Faces Mug from Deff, DVD, Blu-Ray & 4K Video Specialists - Free UK Delivery..
Own Mickey Mouse - Sketch Process Mug from Deff, DVD, Blu-Ray & 4K Video Specialists - Free UK Delivery..
Own Mickey Mouse - Vintage Big Mug from Deff, DVD, Blu-Ray & 4K Video Specialists - Free UK Delivery..